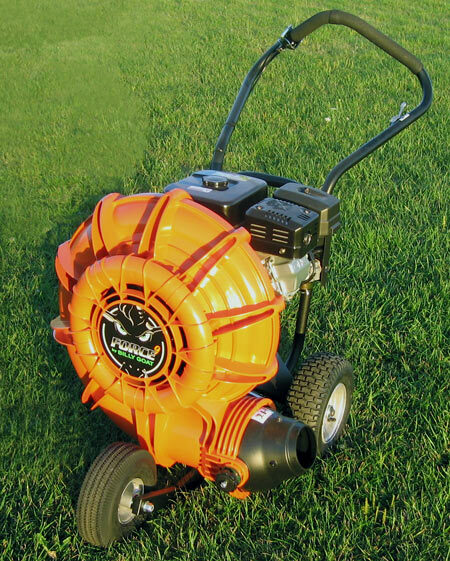 Questions on the Billy Goat F601S Wheel Blower? Billy Goat Presents The F601S Homeowner Companion. 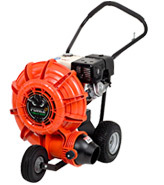 For the homeowner who wants to clear the lawn of unsightly leaves and debris with three times the air volume of noisy backpack blowers but just cannot find the time... for the gardener in the family who wants to rid shrubs and flower beds of accumulated leaves..
What Makes The New F601S Stand Out In The Marketplace? reduces air turbulence and provides unparalleled strength, and shock isolation mounts to reduce vibration. the one and only Quiet Blow® ! Lawn care & Paving Contractors worldwide. Now, Billy Goat Industries, Inc. adds another dimension to blowers with a full powered remote exhaust director. Direct airflow exactly where it's needed. When it's needed...simply by squeezing the ergonomically - designed lever on the handlebar. adjusting the gust right from the handle. Billy Goat company's reputation is one of durability, integrity, and innovation. We not only design for ease of use, but we aggressively test what we design. It is not unusual to see Goats over fifteen years old still in commercial operation.